The death of El Loco could bring chaos to the Pfizer cartel’s ranks. 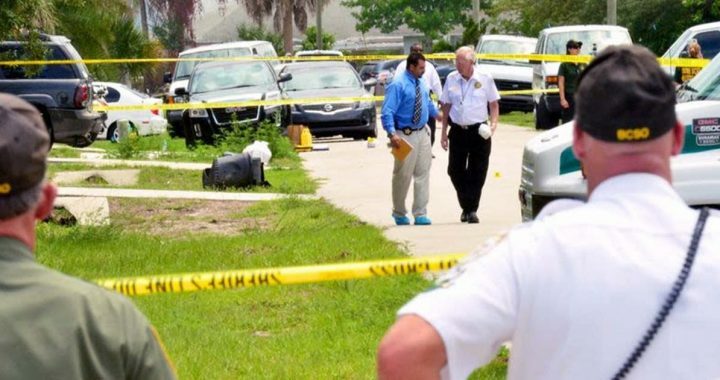 NEW YORK—In the latest of an increasingly violent series of murders linked to international prescription drug trafficking, infamous Pfizer cartel leader Philip “El Loco” Cox was gunned down Thursday by rivals from the Bristol-Myers Squibb organization, the FBI has confirmed. The 63-year-old Pfizer boss, who became the nation’s top pharma kingpin after the 2009 toppling of Wyeth ringleader Richard Russell, was reportedly shot five times in the chest by sales reps from Bristol-Myers Squibb, part of an ongoing turf war to control the lucrative pharmaceutical market. THURSDAY’S KILLING COMES JUST DAYS AFTER THE DISCOVERY OF HUMAN REMAINS BELONGING TO ELI LILLY EMPLOYEES WHOSE BODIES HAD BEEN VICIOUSLY DISFIGURED, DISEMBOWELED, AND DUMPED IN A MASS GRAVE OUTSIDE INDIANAPOLIS. THE CORPSES WERE REPORTEDLY ONLY IDENTIFIABLE AFTER AUTHORITIES FOUND A SCRAP OF A POLO SHIRT NEARBY BEARING THE CARTEL’S CORPORATE INSIGNIA. “El Loco” Cox’s murder is believed to have resulted from a long-running dispute over heart-medication distribution cells in the Northeast, where in the past year at least 500 people have been killed as the warring syndicate’s fight to push Lipitor and Pravachol, their rival products. However, the FBI told reporters that revenge might also have played a role. According to law enforcement officials, the blow to Pfizer could create an opening for the New Jersey-based Merck and Johnson & Johnson cartels to move in and expand their operations. Both groups have lately recruited more biochemical engineers, drug marketers, and family doctors into their ranks, with Merck burning down several Walgreens pharmacies in October following a pricing dispute. 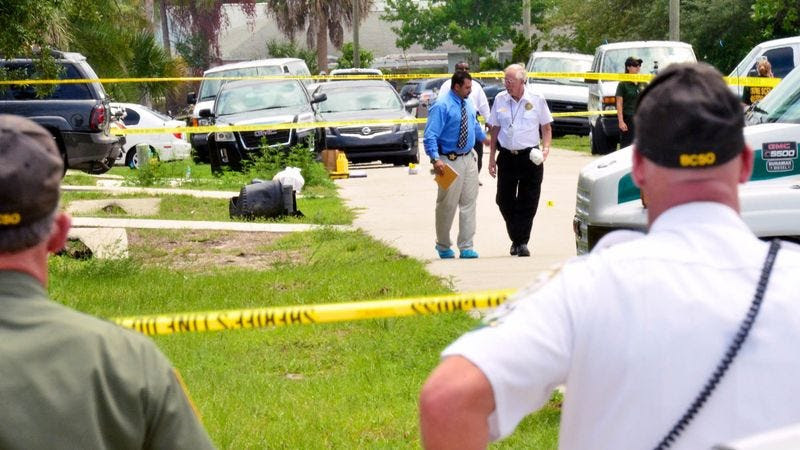 Many experts have argued that responsibility for the violence ultimately lies with U.S. consumers, whose insatiable demand for designer drugs has made big pharma so incredibly profitable. Everyone needs to hear these testimonies presented to the FDA in September of 1991 on the subject antidepressants causing suicide and violence. The FDA chose to ignore these testimonies that day leading to many more deaths since. My dear friend featured here, Le Anne Westover, lost her husband Charles, also known as the popular singer Del Shannon, in only two weeks to a violent Prozac-induced suicide. His senseless death, along with so many others documented both in these testimonies and this database www.ssristories.NET should NEVER be forgotten!!! 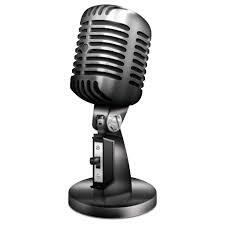 DR. CASEY: Next is Mrs. Del Shannon, please. MS. SHANNON: Lee Ann Westover. DR. CASEY: Excuse me, are you Mrs. Del Shannon? 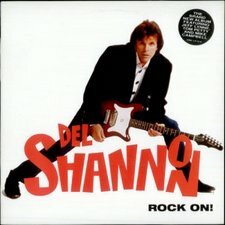 MS. SHANNON: I am Mrs. Del Shannon, yes. I am the widow Del Shannon. My husband 1990. On the evening of of Charles Westover, also known as was given Prozac on January 24 of February 8, 1990, he killed himself. I am told his death was instantaneous, but I believe his death actually began the moment he took his first dose of Prozac. Before Prozac, my husband was very involved with people, our family, and his work. He was very much in charge of his business. But within days after he started taking Prozac I noticed a personality change in him. He showed signs of restlessness, akathisia, agitation, pacing, and his appearance was very drawn. He developed severe insomnia, extreme fatigue, chills, racing heart, dry mouth, and upset stomach. His hands would shake uncontrollably at times. At this time my husband’s career was better than ever. He was just finishing a new album and was at his utmost creative peak. Many good things were happening in his life. On January 24, he saw a doctor for counseling, as changes were happening rapidly. Due to these changes, he went to a doctor because he was experiencing some stress. He was given Prozac. Two weeks later I found him dead in our home. He told me, when he came home from the doctor, that he was given a new drug, “It’s not even a drug, it’s a chemical, it’s very safe. 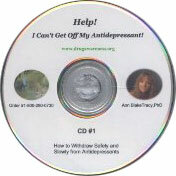 It’s supposed to help me over the hump I’m in.” The drug was Prozac. Charles was very much against suicide. He counseled people against suicide. To him, and I quote “Suicide is a permanent solution to a temporary problem.” I want you to know suicide was totally out of character for my husband. There was no note. The day he died he had made appointments for afternoon and evening. He had booked future and no kiss goodbye. On February 8, my daughter and I were going to the market. He asked for some vitamins and other items that he wanted from the market. He kissed me, smiled, and we said, “See you later.” There was absolutely no warning of suicide or anything violent. I know with absolute certainty that if Charles had any idea of the side effects of Prozac he would never have taken it. This drug is most assuredly responsible for any torment or suffering and the eventual suicide of my husband. I want people to be aware of what can happen when you take this drug Prozac. DR CASEY : Thank you. Rest in Peace Del…you are not forgotten! 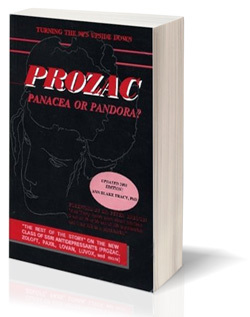 Additional information such as the details on Del’s suicide including the doctor’s culpability in his prescribing and the scientific data supporting the evidence that antidepressants do produce both suicide and violence can be found in my e-book Prozac: Panacea or Pandora? – Our Serotonin Nightmare! 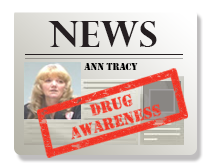 available on our website at www.drugawareness.org. Please share this warning with all you know along with the following critical information on the dangers of rapid withdrawal in order to prevent similar tragedies. Yet another Louisville antidepressant-induced tragedy but certainly not the only one over the past 25 years. How very sad and tragic that they continue this many years later … Maddie Yates, a teen in Louisville, KY has committed suicide on Prozac after posting online that she was going to do so. Louisville, KY, of all places – right where Joseph Wesbecker, on Prozac, went on the 1989 big shooting spree at the printing company where he worked in Louisville, KY thus blowing open the controversy about Prozac and violence. 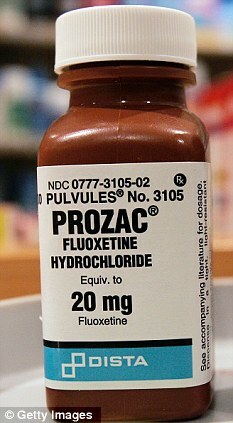 When the makers of Prozac were sued by the surviving family members of those who lost their lives along with some of the survivors of the shooting spree we were not told, but later learned, the case was a set up to make Prozac appear completely safe and not the instigator of this blood bath. Apparently it worked well in Louisville, KY with few hearing that Judge John Potter was brave enough to spend the next two years proving this case in his courtroom was settled by Lilly in the middle of the trial and then allowed to go to a not guilty verdict. Why? So that Lilly could go on national television bragging that Prozac had been found to be safe and not the cause of this tragic violence. No one ever knew just how much was paid out on the case, but in one instance Judge Potter found indication of one survivor getting about $50 Million. We do know that it has been reported that during the decade that Mitch Daniels, now the head of Purdue where we recently had another bizarre case of a violent murder by a young man suffering depression, headed Eli Lilly there was a total of ONE BILLION paid out to keep all this controversy about Prozac and violence and suicide quiet. So here is yet another tragic and senseless death as a result of that silence TWENTY-FIVE years later!!! Although reported as a suicide I say this was NOT suicide! This was murder, premeditated murder! And I will explain why it qualifies as such…. Who is responsible for Maddie’s death and why do I call it a “premeditated” murder? #2 The FDA for issuing the strongest warning possible for increased suicidal ideation for anyone under the age of 25 who takes ANY antidepressant they have ever approved and ANY antidepressant they approve in the future except for Prozac which works like all the rest of them. #3 The doctor who was stupid enough to give a child this drug when it is in the same family of drugs as all the others with Black Box Warnings for suicide. What is wrong with reading just a little research when a life is at stake – especially a life like Maddie’s that had only just begun? Everything Maddie lists as her reasons for her death are all commonly reported side effects of antidepressants – the feeling like you are evil or have something evil inside you, cursing and saying hurtful things you do not even remember saying and certainly do not mean to say, and seeing no hope of ever getting better since these drugs only make depression worse, instead of better, because the hypothesis behind the drugs is backwards. Serotonin is NOT low in depression, but elevated. What is low is a person’s ability to metabolize serotonin – exactly what antidepressants are designed to do thus leading to long term worsening of depression. I repeat, this was premeditated murder and it needs to stop! I am so sick and tired of seeing these! For 25 years I have spent every penny I had trying to stop it, to get the truth out before more die, but the almighty $$$$ is far too important to those responsible not only for the death of Maddie Yates, but far too many others! How many more are we going to allow them to kill? Yes, I said “allow” because we are condoning these deaths by allowing these drugs to remain on the market and to continue their ridiculous advertising of them. The FDA also now warns that any abrupt change in dose of an antidepressant can produce suicide, hostility or psychosis. These reactions can either come on very rapidly or even be delayed for months depending upon the adverse effects upon sleep patterns when the withdrawal is rapid! Jefferson County Public Schools temporarily shut down student access to Twitter and YouTube after learning of Yates’ passing and the video she made. She was planning to participate in a fundraising walk to raise money and awareness for suicide prevention in memory of her friend, Brianna Berrier, who also committed suicide almost exactly one year before Yates’ passing. Yates and two friends visited Berrier’s grave on April 12, the anniversary of her death, just days before Yates took her own life. By her social media activities, Yates seemed a bright, happy youth, posting smiling pictures with friends and maintaining a makeup channel on YouTube. In the above video, she encourages kids to be accepting of others and preaches the importance of staying strong and optimistic. A still from the final video. Yates was a writer, some of her work and biographies hint at her struggles. have for close to two decades now. Symptoms include poor behaviour, whimpering or tail-chasing. on by their owners’ long absences. produced improvements in behaviour within eight weeks. drugs can be marketed to treat them. anxiety from being left alone for long periods. symptoms from being left alone too long. separation anxiety, you are probably familiar with its symptoms. pace; tremble; vomit – or worse. and cats had suffered from depression in the previous year. be linked to depression, such as attacking furniture. a small number of dogs. interest in many of the pharma/medical situations. went to the FCB “client” Eli Lilly & Co./WebMD–not clients. Post reported Lilly and WebMD to be partners in 2000. WebMD TV ad exhorting people to undergo a Lilly depression screening. only pharma company receiving unmarked product placement on WebMD. 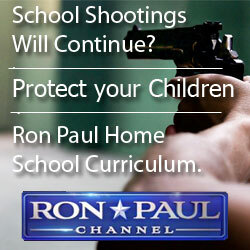 on the video or “sponsored content” appeared. treatment at lowered doses. Hang in there, valued customers. must complete to keep their state licenses. Cymbalta’s launch as scheduled “offensive” posturing. urinary incontinence–also patients with no depression to blame. police custody at the Phoenix’s Sky Harbor airport in 2007. Release) – Feb 01, 2010 – P.O. Box 9949, College Station, TX. Swedish Branch of Eli Lilly & Company John Virapen. known to have suicidal and homicidal side effects, even during clinical trials. “makes up” illnesses to enhance sales and market shares, he says. pharmaceutical industry, he wrote this expose. published in four languages around the world and is a best-seller in Europe. be ordered from most bookstores around the United States and United Kingdom. More information can be found at the book’s official website, www.sideeffectsdeath.com. incomplete aankomst of vertraging van dit verzonden bericht. CYMBALTA: Five Patients Commit Suicide During Clinical Trials: U.S.A. So even though 19 year old bible college student, Tracy Johnson’s, suicide was the only one we heard about happening in the clinical trials with Cymbalta (taking place within Lilly’s own laboratory in a “healthy volunteer”), there were apparently FOUR MORE SUICIDES in the clinical trials?!! ADDITIONAL COMMENT BY Ann Blake-Tracy: HOW LONG ARE THEY GOING TO BEAT THIS RIDICULOUS HYPOTHESIS TO DEATH WHEN THERE IS ABSOLUTELY NO EVIDENCE, NOR HAS THERE EVER BEEN, THAT THE SSRI ANTIDEPRESSANTS DO THIS AND MOST ESPECIALLY THERE IS NO EVIDENCE THAT THEY “RESTORE BALANCE TO THE EMOTIONS”??????!!!!!! Cymbalta, generic name Duloxetine Hydrochloride, has certain side effects consumers should be aware of. Cymbalta manufactured by Eli Lilly is a serotonin norepinephrine reuptake inhibitor (SNRI) antidepressant used to treat major depression. It is prescribed to treat pain associated with diabetic peripheral neuropathy, which is a painful nerve disorder associated with diabetes that affects the hands, legs, and feet. Cymbalta has only recently been approved for use to treat fibromyalgia if people can tolerate Cymbalta’s side effects. The drug works by preventing serotonin and noradrenaline from being reabsorbed back into the nerve cells in the brain. This helps prolong the mood-lightening effect of any released serotonin and noradrenaline, restoring balance to the emotions of the patient. Cymbalta may also be used in the treatment of generalized anxiety disorder. Among the more common Cymbalta side effects that users complain about is being fatigued even after a good night’s sleep. Blurred vision, dry mouth, nausea, vomiting, and issues with both constipation and diarrhea, agitation, irritability, increased, hostility, high blood pressure, decreased libido, hot flashes, fatigue, rash, and increased sweating have also been reported. While people say many of Cymbalta’s side effects are manageable, some users experience effects that are extremely frightening and potentially dangerous. Some patients found the drug tends to trigger heart palpitations and increase anxiety levels and elevate the severity suicidal thoughts or impulses. A 19-year-old college student who had shown no outward signs of depression killed herself at an Eli Lilly & Company laboratory in Indianapolis where she had been participating in a company drug trial for the experimental antidepressant. Four other patients who were given the drug during earlier trials also committed suicide. Anyone taking Cymbalta should understand that they can be at risk while driving, handling machines, or performing other hazardous activities such as working on tall ladders as it can cause dizziness or drowsiness. Many people report that there were no Cymbalta side effects except for a lowered sexual drive and feel the drug gave them back their life. Like other antidepressants, Cymbalta should not be stopped suddenly if you have been on it for some time. Your brain receptors will adjust to it, and suddenly stopping can cause crying jags, agitation, dizziness, nausea, or headache. You should always talk with your doctor or healthcare provider to work out a plan to slowly decrease your medication to avoid withdrawal symptoms. Lilly admits paying docs to peddle drugs – at what cost?? As part of a large government fine of $1.4 BILLION Eli Lilly, makers of Prozac, Cymbalta, Stratera, Cialis, etc. has begun to disclose payouts to doctors to peddle their wares/drugs. When you consider the long reaching damaging effects of that, you realize that the fine is nothing compared to the loss of lives that are the end result. 1. The third leading cause of death in America is “properly prescribed (following FDA and AMA guidelines) prescription drugs. That does not count those taking these drugs “off label” or in higher amounts than recommended, etc., but only taking them as recommended by those who are suppose to know safest prescribing guidelines. Maker of Prozac and Cialis was forced to publish doctor names and compensation. Drug companies routinely pay physicians as experts in the course of marketing their products. While legal, the practice is widely criticized as a conflict of interest that drives up drug costs. One pharmaceutical company paid more than $76,000 to Jacksonville-area doctors and other medical providers in the first three months of this year. That’s according to the first publicly released information to document the long-hidden financial ties between drug companies and doctors. Eli Lilly and Co., the maker of Prozac, Cymbalta and Cialis, was forced to begin publishing the names and compensation of its paid consultants as part of a $1.4 billion settlement with the federal government last January. Among the names that became public were those of several physicians practicing in the Jacksonville area. For the full story, including names of the physicians, see Sunday’s Business section of the Times-Union. Dr.’s are as bad as politicians! Submitted by Wendell on Fri. 9/4/2009 at 5:09 pmDr.’s are as bad as politicians! Submitted by fearlessfan on Fri. 9/4/2009 at 9:05 pmYou shouldn’t blame the doctors, it’s the high dollar Pharmaceutical companies who are pushing the dough. Anybody in their right mind would take it especially if its legal; too heck with ethics. Submitted by rs471911 on Sat. 9/5/2009 at 10:50 am Recently I was in my doctor’s waiting room, 45 minutes past my scheduled appointment. During my wait I watched as 4 pharmaceutical reps, one after another, walked right in to see the doctor and peddle their drugs. The nurse said the doctor sees each rep personally. When I finally saw the doctor I asked if he saw more pharmaceutical reps or patients a day. He gets perks for prescribing their drugs. The scariest part was I heard him asking one of the reps for medical advice. He is no longer my doctor. Submitted by Xenon on Sat. 9/5/2009 at 1:53 pmI also was waiting for a appointment for over 45 minutes and was shocked at the people walking in and out without signing in. Finally when i was checking out, three representatives were in the hallway laughing and talking with the Doctor and talking about a upcoming quail hunt, Montana hunting trip and a deep sea fishing trip at their expense, one female representative turned to me and handled me a pen, with pharmaceutical advertisement on it as i was trying to sign my check and said to me, “Just keep it, a sovernier.” Smiled perkily and turned back to the group and the Doctor. In 2004, I gave birth to my son, Isaac, on Thursday, July 8. I had significant stresses in my life for several years and especially in the months prior to the birth, but throughout it all I remained happy and healthy and calm and patient. One major stress was moving from Georgia to Minnesota when I was about 8 months pregnant. I loved Georgia but dreaded Minnesota, and was being forced to move for my husband Joel’s new job. Though I had wanted to deliver naturally, I ended up having Pitocin, an epidural, an episiotomy, epinephrine (synthetic adrenaline), and a vacuum extraction. I also had oxygen therapy for most of the end of labor and delivery. (I recently learned that epinephrine leads to mental disturbances. Pitocin and epidurals can cause an abnormal fetal heart rate, and epidurals can cause respiratory issues.) The final contraction for the baby’s delivery had to be induced with an increase in Pitocin. I was so numb in my lower body I couldn’t even feel when I was supposed to be pushing. I had pushed for an hour and 15 minutes before the doctor grew impatient with me and decided to intervene. Nevertheless I was enamored with my new baby and motherhood and nursing. The nurses were concerned about Isaac’s weight loss early on (I recently learned that the infant’s weight loss is excessive when you have an epidural, which involves a drug derived from cocaine, and babies exposed to IV fluids are more likely to lose a large amount of weight after birth and get jaundice & hypoglycemia). They had taken him to the nursery overnight twice and told me he could go several hours without eating, but then wondered why he was losing weight. They blamed it on my milk not coming in yet. They shoved us out of the hospital at 48 hours postpartum with some formula samples. The next morning, when he was three days old, Isaac had to go to the ER. A nurse called me at 10 a.m. to ask me how many diapers Isaac had since we brought him home. When I told her he hadn’t had one in almost eight hours, she told me to take him to Children’s to check for dehydration and jaundice. The ER doctor at Children’s said he seemed fine but sent us home with a bottle of formula just in case we needed it. Back at home again, Joel fed it to him (it was way too much for a newborn), and Isaac threw it up projectile style. Then Isaac fell asleep. Later I noticed he looked a little blue on the skin around his mouth and on his hands and feet. I couldn’t wake him. We called 911. The paramedics couldn’t find any reason for the overly lethargic baby, blue hands, feet and mouth, but recommended we take him back to Children’s. A few minutes after we walked into the ER, Isaac nearly choked to death. The staff saved him and he was admitted over night. I was scared he might choke again during or following a feeding, or from getting a small object in his mouth. The doctors explained that Isaac would be just fine with eating, and that the 8 ounce bottle (which they had given us earlier) had just been too much for a newborn. Coincidentally, had it not been for the vacuum extraction, Isaac wouldn’t have had high hemoglobin that made him look like he was turning blue, the first signal to me that something was not right. When we returned home my anxiety worsened from somewhat normal to severe. I had a panic attack. I called my OB and he said I might be having a heart attack and need to go to the ER, or it could be a panic attack. I didn’t want to go to the hospital any more so I just tried to rest. I felt somewhat better the next day but the home health nurse who came out to check on us advised me to start taking drugs for anxiety. She set up an appointment with my OB/GYN. For days I refused to let others feed him a bottle unless I was there to watch or listen to make sure he didn’t choke. For the most part I was nursing, but occasionally I let someone feed him a bottle because of medical advice that I “get my rest, and let others take care of Isaac” while I took care of myself. But I could not sleep with others feeding him a bottle, and even when he wasn’t eating, I couldn’t sleep out of fear I was going to wake up to a dead baby. I slept a lot of the time with my hand draped into the bassinet on his tummy to feel it move up and down with each breath. I walked into my OB’s office with my baby, on Wednesday one week after the birth. The nurse at the desk asked if I was here for my 6-week appointment. I said, no, the baby was only six days old. Then, with a look of horror, she said, “Oh, you must be having problems, then.” I nodded. The nurse let me in within a few minutes and took my blood pressure. It was like 149 over 120 or something, way higher than usual. The sample package of Zoloft he gave me was labeled for use in PMDD. He said it would take six weeks to work and I might need to stay on it for six months to a year or longer. He said he felt we needed to be aggressive in treating this, and not to stop taking it once I felt better because it was probably going to get worse and maybe even dangerous if I didn’t take the drugs. There was no information label attached to the sample pack. I asked about having my thyroid checked because my mother-in-law was worried that could be causing my problems. I had been on thyroid medication for years and never needed a dose adjustment, and my doctor knew this. He said that there are no valid post-partum thyroid levels and he didn’t want to test it. I asked about Zoloft’s safety for nursing and the doctor said it would make my baby happy too. He also prescribed Clonipin in case of more panic attacks, but told me I needed to check with my son’s pediatrician before taking it (I never took the Clonipin because I didn’t have any more panic attacks). He started to leave and told me to call if I had any side effects that bothered me. I asked if I could take the Zoloft right away and if it would help my blood pressure, and he said to go ahead. Within minutes on Zoloft I began to feel a little less anxious. We walked to Joel’s office (a few blocks) to show off the new baby. I even let some woman at the office hold him. I had a sense that my anxiety had been too strong and that Zoloft was going to make it better. Within several hours I felt a bit detached from my new baby, my family, and even my own emotions. While earlier that day I was fearful and protective, with a strong need to have my baby in my arms at all times, yet extremely overjoyed with my baby and life all at the same time, within hours I felt like a different person. Things gradually got worse and I struggled to feel the joy that was mine a few hours before. Sometimes I felt a bit giddy, but I didn’t feel really happy. I could laugh and make jokes and play with the baby, but it was temporary. I couldn’t feel the overwhelming love I had before I took Zoloft. I continued this way until the most unimaginable thing happened. That Friday, sleep deprived, I sat next to my mom on the couch, trying to nurse a very sleepy baby in the middle of the night. I remember thinking I had lost my love and adoration for my baby because I was too tired to feel anything. I knew that I loved him but I couldn’t feel it the way I had a few days before. I couldn’t understand why I had to be the only one to stay up all the time and never sleep, and my baby, who needed to eat, couldn’t stay awake long enough to get much food. As I gave up on the feeding and walked past the stairs to our bedroom to lay the baby in his bassinet, I hallucinated – I saw myself standing about half-way down the stairs, throwing the baby down. I had no history of mental illness. Never could I have imagined I would think such a thought, let alone hallucinate killing my baby. I went to the kitchen with my mom after I put the baby down and started to cry and told her I was afraid I was going to lose my mind and hurt myself or hurt the baby. She said that wouldn’t happen. She hugged me and told me to get some sleep. Upstairs in bed, I still cried for a long time and then told Joel I was afraid I was going to lose it and that I couldn’t sleep. He told me to get some sleep. I can’t remember if I got any sleep that night. The next morning Joel and I were holding the baby and watching movies in the living room. But I couldn’t stop being afraid. I was convinced that I was on the edge of losing my mind. I felt like I couldn’t hold the baby, and I asked Joel to hold him. He didn’t understand why. I said I couldn’t hold him, or carry him past the stairs in the state of mind I was in. Joel got really freaked out as I told him about what had happened; he said what I was telling him was disturbing. I just wanted help. I told him I didn’t know why it all happened but I was really scared and I was afraid to hold the baby. I just wanted him to take over and maybe calm me down. He suggested I go take a bath and relax. But I couldn’t do that because I was having thoughts of suicide. I was afraid if I went in the bathroom by myself I would certainly find a way to kill myself with a razor or pills. I was so scared I was going to hurt the baby that I wanted to protect him from me by killing myself. But at the same time I knew this was all crazy and I didn’t want to die. I didn’t want to hurt the baby. We called the help line for our insurance and the nurse recommended I go to an ER right away. Joel asked what they could do for me at the ER and she said they would give me drugs to stop the thoughts and make me feel better. This seemed to me like a reasonable thing. At this point my son was nine days old. We went to the ER, where the doctors pretty much ignored me for a while, gave me some disgusting hospital food, and then came in to talk to me. The doctor nonchalantly told me I wasn’t evil and that I just wanted to kill myself because I was feeling guilty about having thoughts of hurting my baby. I asked how long the thoughts would continue and he said, maybe three weeks or even three months. This was unbearable to me. I already felt bad enough, and to imagine having thoughts of harming my baby for even three days, let alone weeks, was too much. I burst into tears for about the 5th time in the ER room. As I waited and waited for another visit from the next in the series of hospital employees, and I tried to sleep, I was so tired I almost instantly passed out, but only to a vision of myself drowning my baby in our bathtub. Every time I closed my eyes to rest I got frightened and opened my eyes again. I could not let myself fall asleep. I was afraid I was going to fall asleep, and my spirit and mind would die, and when I woke up, I would be someone else. Then a woman came in with a computer and asked me a bunch of questions and entered in my responses. She tried to make Joel leave for the questioning but I wouldn’t allow it. Judging from a report I obtained months later, she distorted the information I was telling her, making things seem even worse than they already were. I asked if I could be admitted to a room in a non-psychiatric ward where I could have Joel and Isaac stay with me like they did in the maternity ward. She said no. I said that I didn’t want to be admitted if it meant I had to leave my family. She told me that I could go home after 12 hours if I wanted to, that the admission was voluntary unless a doctor decided to keep me there longer. She had me sign some admission form and then the nurse walked me and Joel up to the psychiatric ward. I had only to take one look at the inside before I knew I wanted to go home. I started crying to Joel to take me home, but he said he didn’t want to do that because I needed help, and he was afraid for me and the baby. The nurse told me that I should give it a try. But leaving wasn’t an option anyway since I had signed the admission form. Joel left to get me some things I would need and the nurse took me to a room where he asked me a few questions and had me sign some more forms. He made me agree that I was willing to do anything to help my treatment. Then he took me to my room and left me there. I didn’t like my room, and there was a girl in there trying to sleep so I left and tried to find some place to sit. There weren’t many places to sit except the room, and there was a phone with a line of patients waiting for it, a few nasty, mismatched chairs, some broken shelves with old games, and a small dining area. I went to the nurses’ station and knocked on the glass and asked to talk to my nurse. I told him I wasn’t happy here and wanted to just go home and that I had changed my mind about the voluntary admission. He told me that the doctors would never let me leave this soon anyway and I should just wait for the doctor to see me and start getting my help. I asked when I could see the doctor and he said not until the next day, or maybe Monday. I said I needed someone to talk to and he wasn’t being helpful and neither were the doctors. I asked how I could get released and he told me I had to sign an intent-to-leave form and wait 12 hours from that time and I could be released unless the doctor decided to place a hold on me for up to 72 hours. I filled out the form and awaited Joel’s arrival with my bag. What had started out as a voluntary admission quickly became involuntary. Joel arrived and we waited for an answer from the nurse who was already in the process of checking on my release. Soon we were told that the doctor had placed a 72-hour hold on me but that it wouldn’t start until Monday morning (this was Saturday) when he could see me. We couldn’t understand why the doctor wouldn’t release me when he hadn’t met me or talked to me. Joel stayed with me as long as he could but then left to go to our house and take care of Isaac (my mom had been taking care of him all day). Later that night the nurses came in to give me meds. They brought me my Synthroid, and several additional drugs- I think they were an anti-psychotic, a tranquilizer, and Ambien. But with these new meds came some information sheets. I quickly read the indications and the warnings, and refused to take them. Not only were they unsafe for nursing, they were indicated to treat “schizophrenia and other mental illnesses” and had many dangerous sounding side effects, such as nightmares, suicidal thoughts, etc. This was the first time I had seen a fact sheet like this, since my Zoloft samples from the OB/GYN three days earlier came with no fact sheet or warnings whatsoever. I also got a fact sheet for Zoloft for the first time. All alone and with no one to talk to, there was nothing I could do but cry or sleep. I did a lot of crying and pumping of my milk for the baby, even one session in the middle of the night, but I also did a lot of sleeping. The next morning, Sunday, I felt pretty good in comparison to the day before. I felt more rested than I had been since before my baby was born. And I didn’t feel as unstable or frightened as I had the day before. Since I had been taking Zoloft in the mornings, I hadn’t had a dose for over 24 hours. It occurred to me that perhaps Zoloft could be causing my problems. I phoned Joel and said that I felt a lot better and wanted to talk to the doctor before taking any more Zoloft. The nurses reported to the doctor that I was refusing to take my meds and the doctor did see me that day. He talked to me for no more than 10 minutes and told me to keep taking my Zoloft. I expressed concern about its side effects but he said to keep taking it anyway, that all my problems were not caused by Zoloft. It was clear the only reason he came to see me was so he could gather the required information for his background report. The only questions he asked me relating to a mental illness were whether I check the locks a lot and whether I have a family history of mental or emotional problems. I told him that I do check locks occasionally, but not repeatedly, but I have to check them because Joel forgets to lock the door (which he still does to this day). I told him that some members of my family had some emotional issues but not severe ones. I answered every biographical question honestly. I couldn’t really understand why it was important for him to know what clubs I was in during high school or whether I had a serious boyfriend as a teen. And why wasn’t he asking me about the events leading up to my prescription for Zoloft? I tried to get something more from him and asked him if he thought I could have PTSD from witnessing my son nearly die in the ER from choking. But he said “I have no idea.” And he also said “Your son didn’t almost die.” (Later I learned from reading my file that the lady with the computer had written that I was obsessed about my baby and had imagined him turning blue and taken him to the ER twice where nothing was found to be wrong with him). Then when I expressed my desire to leave because I wasn’t getting counseling and I felt the environment was depressing and the nurses were rude and borderline verbally abusive to me and other patients, he said that was just my paranoia. My mom, Joel, and Isaac came later that day for a visit. I explained what was going on, how I had been ridiculed for requesting sanitary pads after mine had been taken from my bathroom while I slept, and was treated rudely when I asked for access to my Tucks pads, a place to clean my episiotomy, and the chance to talk to the doctor before taking any more meds, and how I had been not allowed to sanitize my breast pump or get anyone to talk with me about my emotional problems. I explained that the doctor spent about seven minutes with me, left, and wanted to leave me there for an indefinite proportion of the maximum 72 hours from Monday. Joel and mom could not believe the mistreatment and lack of treatment and threatened to call a lawyer or the press, because the doctor (who was on-call) refused to come up to the hospital or even talk to Joel on the phone that day. One of the nurses was in the room along with an OB/GYN consulting doctor as my mom explained several incidences of ridiculous behavior on the part of the staff. The psychiatric nurse and the OB were really shocked at all the staff had done to me. That night as my family left, I felt my heart being ripped out again because of my desperate need to be with the people who loved me, and to be with my newborn son. Monday the doctor requested a family meeting. He agreed to release me with several conditions- that I get psychiatric outpatient care, take parenting classes, stay on Zoloft, and get counseling. He said I had post-partum depression with psychotic features and left it up to my mom and husband to protect me and my son. As I left the hospital, my mom called her friend who was a Ph.D. Clinical Psychologist. She put me on the phone. I told her my new “diagnosis” and she said I might need to try to get up to a more therapeutic dose of 150 mg, and that 50 mg is just a starting dose. Over the course of a few weeks I sought counseling, psychiatric help, and adjusted my dose of Zoloft up. My mom tried to convince me that Zoloft was possibly the reason for my problems, but I didn’t listen to her. I listened to the doctors who said I was psychotic. But each time I adjusted my dose, the violent thoughts got worse. I was no longer having hallucinations but I was plagued by persistent “bad thoughts” and the feeling that I had little control over myself. I practiced “I’m in control” messages constantly and used a calming down technique that I learned in therapy. My therapist explained to me that I wasn’t like the moms who kill their babies because I wasn’t angry at the baby, I was just afraid I was going to hurt him, and that I always sought help when I felt overwhelmed, so I would be able to do it again if necessary. For months I worked on my goal of being able to take care of my son without supervision from my mom and Joel. Most people believe co-sleeping is dangerous. I fully believed this at the time, and I feared rolling over on my son, even though my mother encouraged me to co-sleep and nurse exclusively (and even though I remembered sleeping with my own parents and siblings in our family bed). Psychiatrists told me I needed to let others care for Isaac at night and get at least 8 hours of sleep to stay healthy. Joel and my mom would feed Isaac at night while I slept. Joel started to get sleep deprived and my mom had to take over after he had a car accident. My mom would stay up much of the night with Isaac and then all day with me to keep me feeling safe, and when Joel got home from work she would go to bed to rest for her night duty. I had to set up safeguards for myself so I felt I would not leave the room and kill my baby in the night or kill myself while others were asleep. Eventually Isaac moved from our room to the guest room with my mom. She would bring him to me for feedings in the morning, and sit in the recliner and watch me feed him in bed. Throughout the day she was constantly watching me. If she left me alone with the baby for five minutes, I would freak out. Once she was taking a bath, and I yelled to her to hurry up because I was going to put Isaac in his crib and lock myself out of the house. Eventually, she would take her bath as soon as Joel got home, and then go to bed, to rest for her night duty. My therapist suggested I add another bottle of formula to the regimen each day so I could get more time to myself. She thought I was having a hard time with motherhood because of the demands of breastfeeding. My psychiatrist increased my dose of Zoloft twice and I still didn’t get better – just worse each time the dose went up. She wanted to switch me to anti-psychotics and stop nursing to do this. I considered going along with it but decided against it because I didn’t want to lose time and progress by going through withdrawal and adjusting to new medications. I also did not want to completely stop nursing. I began to reconsider everything. I started to nurse more. Finally one night when Isaac was about six weeks old I decided to take him to bed because I was more afraid of falling asleep and dropping him from the chair than I was of rolling on him in the bed. I discovered I could co-sleep and breastfeed simultaneously. Since then I get enough sleep, and so does my family. Around the same time I had my 6-week checkup with my OB. By this time he was willing to test my thyroid. Two days after the appointment, I got a call from him reporting that I had hyperthyroidism and I needed to back off of my Synthroid and see an endocrinologist. I began to understand what was wrong with me. I knew that I could have breast-fed my baby just fine without nurses taking him and making him starve in the newborn nursery, without bottles of formula, and still get all my sleep as I was now getting through co-sleeping. And I also began to see the pattern that had emerged. Repeated interference from medical staff had resulted in a less-than-desirable labor & delivery, emergencies for my son, subsequent panic for me, Zoloft, and subsequent hospitalization. All the while this was aggravated by Synthroid on top of underlying, undetected hyperthyroidism. My endocrinologist dismissed the notion that Zoloft could be a culprit in my psychosis. But she did attribute the symptoms to my post-partum thyroiditis and also probably thought I was a little bit nuts. She said had she seen me earlier, she could have helped me more by giving me beta blockers. I learned much later that beta blockers can also cause depression, so I’m actually thankful that my OB didn’t refer me earlier, as I may have had to deal with Zoloft and beta blockers at the same time! Empowered by my new diagnosis and treatment, I began to feel healthier. But the thoughts never went away. I just felt better physically. It really bothered me that I couldn’t get these thoughts out of my head. Despite my growing ability to spend increasing amounts of time alone with my son, I didn’t feel right. I started believing that it was possible that Zoloft had planted some foreign thoughts in my mind. I began to consider stopping Zoloft. Every doctor I was in contact with didn’t like that idea. Isaac’s pediatrician said that Zoloft just gives people enough energy to kill themselves. She didn’t touch the violence issue. The psychiatrist all but refused to give me withdrawal information until I called her and told her I had already started to cut back and wanted information on how to do so safely. My mom was planning to go back to Texas, so I had to get better. I withdrew from Zoloft over a few weeks and started to feel more like myself again. Since I stopped taking Zoloft, I feel normal. I take care of Isaac by myself and stay socially active. I never feel out of control like I did on Zoloft, but the memories of losing my grip on sanity will never go away. Never again will I subject myself to drugs to “heal” my mind. I am looking forward to a long life. It is something that Zoloft tried to take away from me. But I beat it. I beat the thoughts, the urges, and I regained my hope. As a result of this ordeal I am more confident in my true self and my ability to get through the worst life can offer you. I can’t remember if I stated this before, however when certain comments were added to my most recent youtube video it made me wonder if I was very clear in telling this story of what happened to me. Yes, a lot of people have thyroid problems which lead to prescriptions for drugs. However I do not believe in the slightest that my thyroid had anything to do with the suicidal urges and homicidal urges. I have since had a second baby. This time I had a home birth with a midwife attending. I did notice that I felt crummy and irritable if I did not eat enough or rest enough (I have since learned why this happens, you lose a ton of blood continuously and it gets worse if you don’t rest because your uterus is literally bleeding until it completely contracts and you stop having post-baby bleeding). Some of the worst advice I ever got in my life all compounded into one giant insurmountable confusion-fest which was only made worse by Zoloft, most of the bad advice started with my OBGYN’s statement to me that I was too fat and breastfeeding is a great time to lose weight / diet, but a lot of it coming from other sources as well. These included the advice to formula feed rather than telling me I could breastfeed while sleeping (if I hadn’t fed Isaac the bottle when he was 3 days old, he never would have nearly choked to death), the anti-cosleeping dogma that is prevalent in our society, and the blatant lies and omissions from psychiatrists and nurses who should have known or told me that there was a possibility that my really bad psychotic symptoms were drug-related. The panic attack was absolutely legitimate, perhaps I would not have had it if my baby never almost died, or if I wasn’t rapidly coming down from the effects of labor drugs and pain meds. However a panic attack is not in any way similar to what Zoloft does. Those who doubt that Zoloft can do this, I want you to go pick up a copy of David Healy’s Let Them Eat Prozac. In this book he outlines all the evidence that SSRIs induce violence and suicide. He states that a good example of proof is the dose-dependent relationship between suicidality and SSRIs. Also, a challenge, dechallenge, and rechallenge protocol has been used to demonstrate the effect. David Healy is critical of SSRIs but he still prescribes them to some patients. If someone who is in one sense an advocate for the drugs can admit in a several hundred page book all the negative things about SSRIs then I do not understand why people insist on disbelieving that. This is the type of hell that people somehow think is an acceptable side effect. The number of people suffering from this is not insignificant, and in fact at least 60% of patients discontinue SSRIs within a few weeks because they find it unacceptable. How many others are trapped into staying on them by bad advice and delusions given toa them by their doctors, or by insurmountable withdrawal syndrome? Nothing of the sort of psychological torture I endured on Zoloft has visited me after my second baby. Doctors warned me to not have any more kids because there is supposedly a 90% chance that PPD will return. I am thankful that I did not listen to them, and it saddens me to think of all the babies like Toby who never got to be born because of poisonous lies from the pharma dogma. It’s almost like a form of population control / eugenics!!!!!! Join the Coalition! Sign the Petition! StopThe MOTHERS Act!